"Space is our future," says astronaut Scott Kelly. And he would know; he spent 340 consecutive days at the International Space Station in 2015 and 2016. His book, "Endurance: A Year in Space, a Lifetime of Discovery," will bring him to Seattle's McCaw Hall May 23. There aren’t a lot of people who dream so big, they end up leaving the planet. Astronaut Scott Kelly is one of them. “I was a kid who couldn’t pay attention or do his homework and found some inspiration in ‘The Right Stuff,'” he said of the 1983 film about the inner lives of a group of astronauts, based on the 1979 book by the recently departed Tom Wolfe. Kelly and his twin brother, Mark — also an astronaut, and married to former U.S. Rep. Gabrielle Giffords of Arizona — were the sons of two New Jersey police officers who didn’t conjure any sort of magic to make their sons what they are. So free-range that the brothers, now 54, both found their way to NASA, and part of a record-setting mission that compared the genetic effects of spaceflight. Scott Kelly spent 340 consecutive days at the International Space Station in 2015 and 2016. During that time, he completed 5,440 orbits around the Earth and conducted three spacewalks before returning home in March 2016. 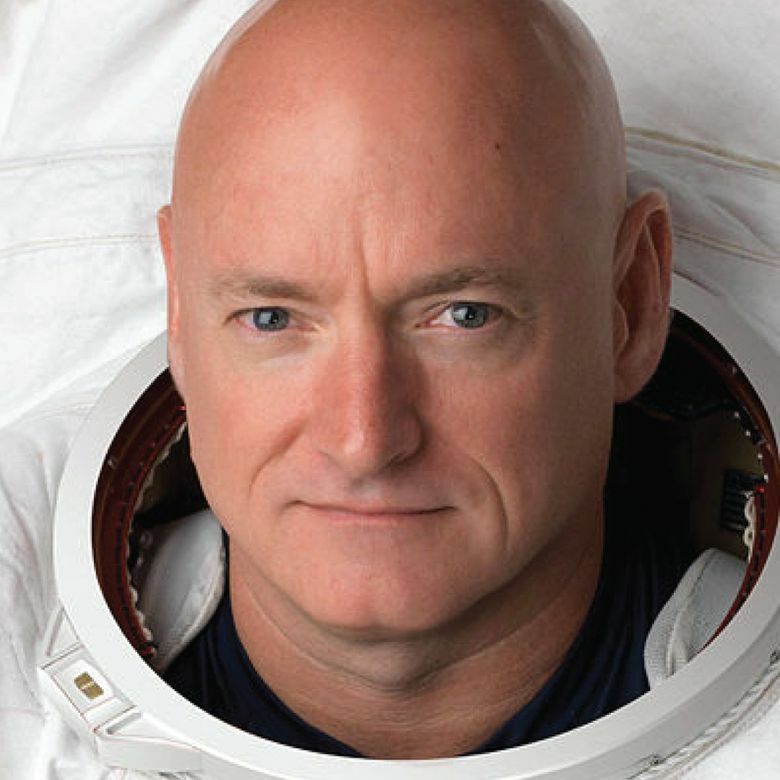 Back on earth, Mark Kelly served as the “ground control subject” for research into how the human body reacts and adapts to the environment of space. NASA found that seven percent of Scott Kelly’s genes changed their expression during the mission — and were still altered after six months back on Earth. He also came back two inches taller. There were other physical struggles once Kelly returned to Earth: Stiff joints, fatigue, swelling in his legs. Rashes and hives on his skin and flu-like symptoms. “My feet hurt, my neck hurt, my back hurt,” he said. He retired from NASA not long after, wrote a book called “Endurance: A Year in Space, a Lifetime of Discovery” and started speaking all over the country. What seems to be gaining energy — and money — is the ever-intensifying race for space. In the 2018 budget, for example, President Trump asked for more than $800 million in funding for NASA moon missions. “It’s not enough for what they’re proposing,” Kelly said of the expenditure. “On one hand, I appreciate the administration’s interest in going back to the moon or Mars. But it doesn’t sound like a real program because of the commitment. It’s harder to say that about venture capitalists, whose overall investment in space startups reached a record $2.8 billion in 2017. Amazon’s Jeff Bezos and Tesla’s Elon Musk are making plans to send tourists into space, colonize Mars and — in the case of Tokyo-based startup ispace — land rover vehicles on the moon by 2020. His book has been optioned by Sony Pictures, and he is writing the screenplay. He serves on a couple of boards. And next month, he will marry his fiancée, Amiko Kauderer. Things continue to look up — something Kelly does every day; reflecting on the time he spent as a former free-range kid, now a man, floating in the night sky. But he also thinks a lot about the view of the Earth from space. “I think about how beautiful it is, and the atmosphere,” he said. “Most people would be more environmentally conscious if they could see what I did. “We have a great planet down there,” Kelly continued. “We need to take care of it but we also need to be better to each other. Our species has the capacity to do incredible things, but there are still kids washing up on the beach from the Mediterranean while we have a space station in the sky.